Step 1 In a small saucepan, simmer lavender, cinnamon, cardamom, peppercorns, and ginger with 3 cups water uncovered for 15 minutes. Strain through a sieve into a blender; discard spices. Add maple syrup and coconut butter to blender and blend for 30 seconds until mixture is foamy. Pour into 2 cups and serve. Very few things encapsulate the fall season like a cup of chai latté. 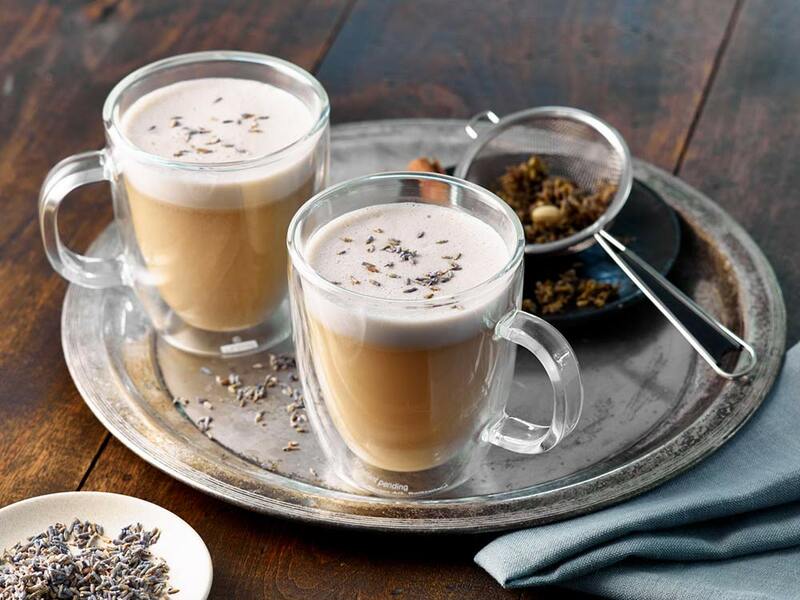 Warm your cold days with this wonderful array of spices and flavours, including lavender, ginger and cinnamon.